paper books were still a thing. 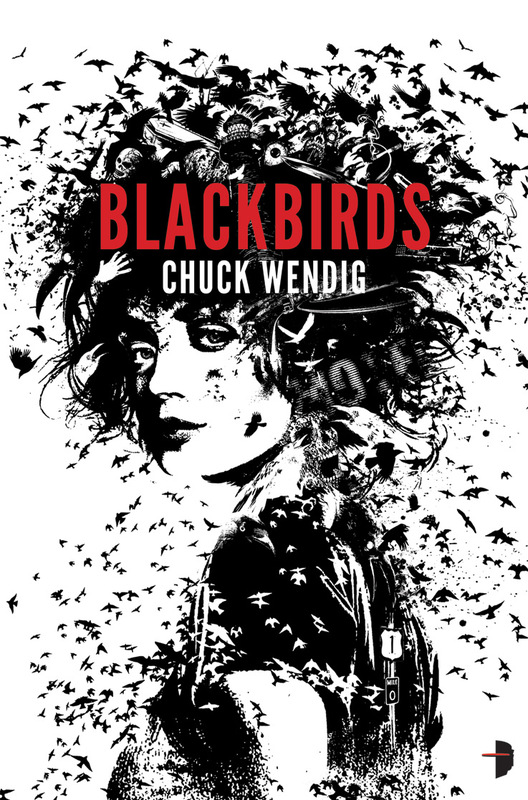 Blackbirds is the story of Miriam Black, a boozy drifter with the annoying but useful ability to know when and how people will die just by touching them. She runs into someone whose death seems to involve her. Hilarity ensues. Yeah. It's full of cliches. The been-done-to-death premise of Miriam's ability is driven to a few of its logical conclusions, and there's not really anything new along the way. Yet, Wendig takes this skeleton of cliches and gives it life with a splash of clever writing and some meaty giblets of characterization. Regardless of the predictable plot, jamming interesting characters in it and telling their story in an interesting way makes the book hard to put down. And what an interesting way to tell the story. Fans of Wendig's blog are well acquainted with his love affair with profanity. He has fuckbuckets of fun with the filthier side of the English language. Luckily, he's created a main character as profane as him to pump the creating cussing out of. E.g. : "He was as dumb as a bag full of retards." E.g. : "She hates the sun. Hates the blue sky. The birds and the bees can go blow each other in a dirty bathroom." The book could have been about the grooming and care of the common blackbird (turdus merula [lol, turd]) and it still would've been a hoot to read, with his way of working glorious indecency into every paragraph. There is substance behind the style, though. Just enough substance that it left me wanting to know more: more about the world (Miriam's lack of uniqueness in the world is only hinted at), more about the plot (there are some deliciously dark consequences of the ending), and more about the characters. Even after they die. Because hey, if you didn't guess, a lot of people die in this story. I guess being left hanging, all limp and flaccid, is a fitting theme for a story about death. Isn't death the ultimate cockblock? Good thing the ends of stories aren't like life's cruel ends though, because apparently a sequel is in the works. 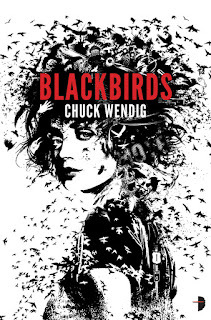 The highest praise I can give Blackbirds is that if the sequel was out, I'd be reading it right now instead of writing this review.